In Berlin, public transit is reminding riders to 'mind the pay gap,' as well as watching their step. A ticket will be offered to women today only that costs 21 per cent less than normal - the amount that women are paid less than men in Germany according to EU statistics. Men will be required to pay the full ticket fare or face evasion fines. 'It pays to be a woman,' is the slogan being used by Berlin's transport company to market the 'Frauenticket,' or women's ticket. The event coincides with 'Equal Pay Day' in Germany, a day that symbolises how many days extra women have to work in a year to make as much as men. 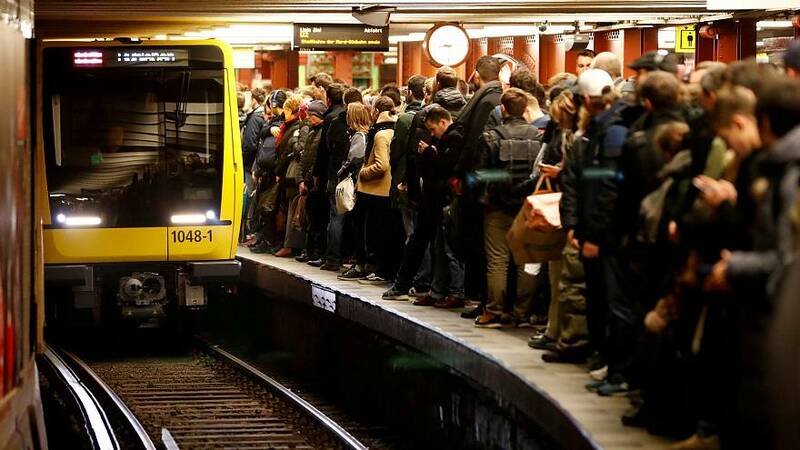 The BVG, Berlin's transport system, has had an equal-pay policy for its employees since 2003. Progressive powerhouse Germany has one of the largest pay gaps in Europe according to EU statistics, calculated by gross earnings of men and women. It's called the 'unadjusted' pay gap, meaning that it fails to account for job choice, but provides a broader picture of the status of men and women in society. Only Estonia and the Czech Republic post a higher gap than Germany - the EU28 average is 16 per cent. It's a surprising statistic when the political face of the country, and one of the most powerful people in the world, is Germany's Chancellor, Angela Merkel. She has led the country for more than a decade, and been replaced as leader of the Christian Democratic Party by protegee Annegret Kramp-Karrenbauer. The leader of the primary opposition party, the SPD, is also female, Andrea Nahles has held that position since last year.